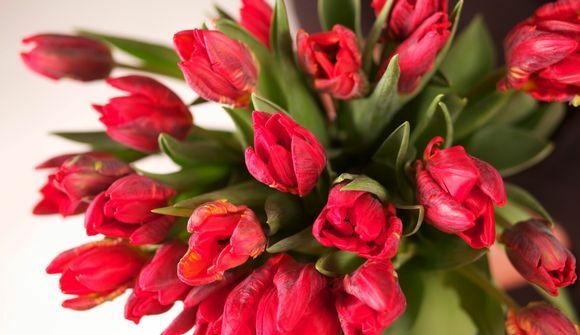 [Name of flower] Tulip [Latin name] Tulipa hydrida [Origin of flower] Originally found in southern Europe, North Africa, the Middle East and China. 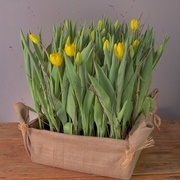 [Common uses- how they come for sale] As bulbs for your garden, potted plants, or the most popular here, cut flowers! 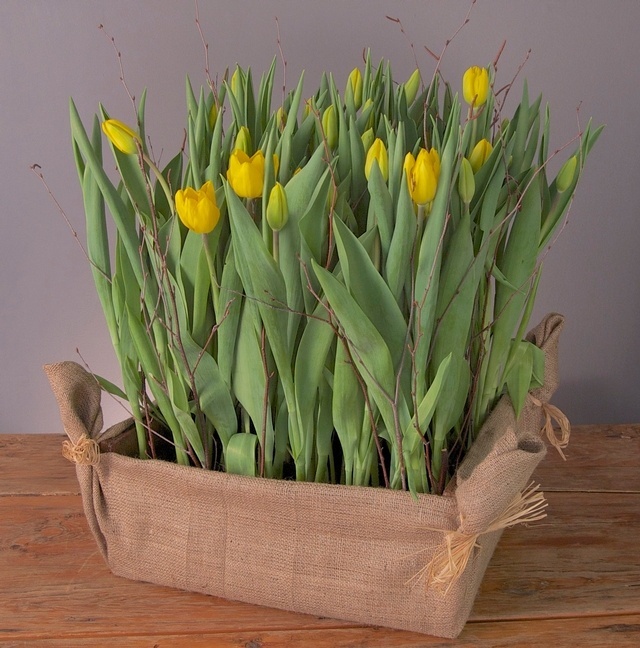 [Colours and Varieties Available] Parrot tulips, double tulips in every colour except blue or black. 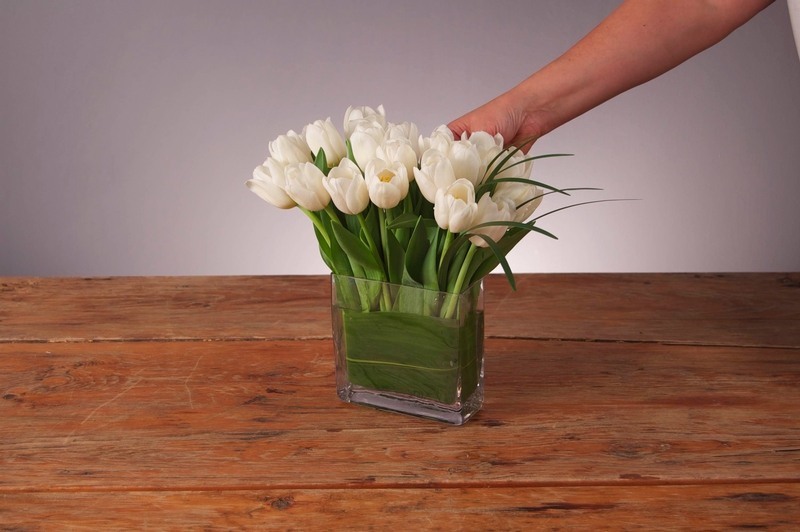 [Fun Fact] Tulips are one of the only flowers that stretch in water. 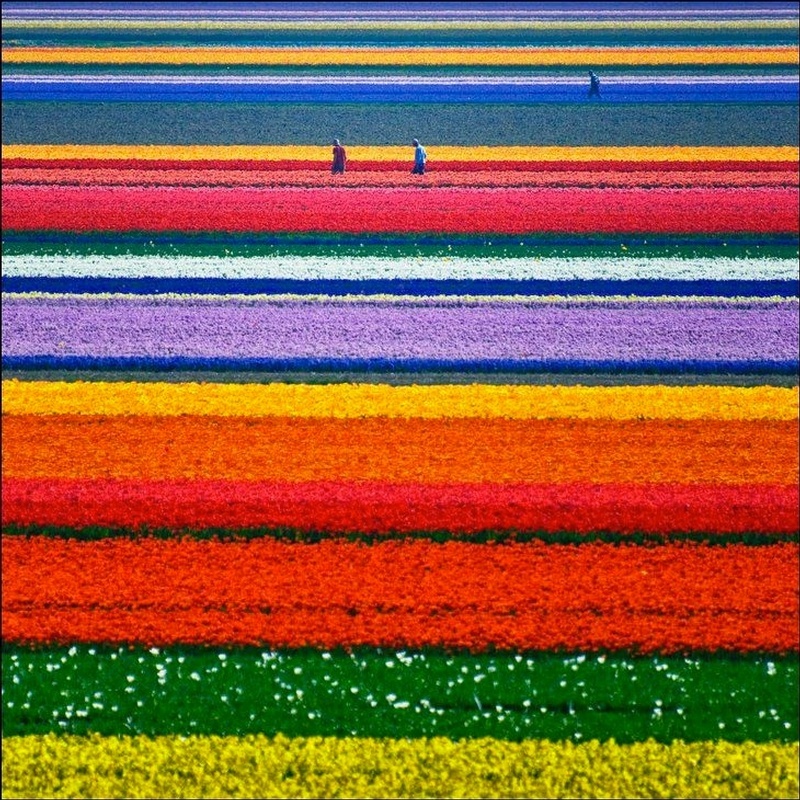 This phenomenon is called phototropism; they are trying to reach up towards light. Just re-cut stems to avoid that crazy look, or leave it if you like it! 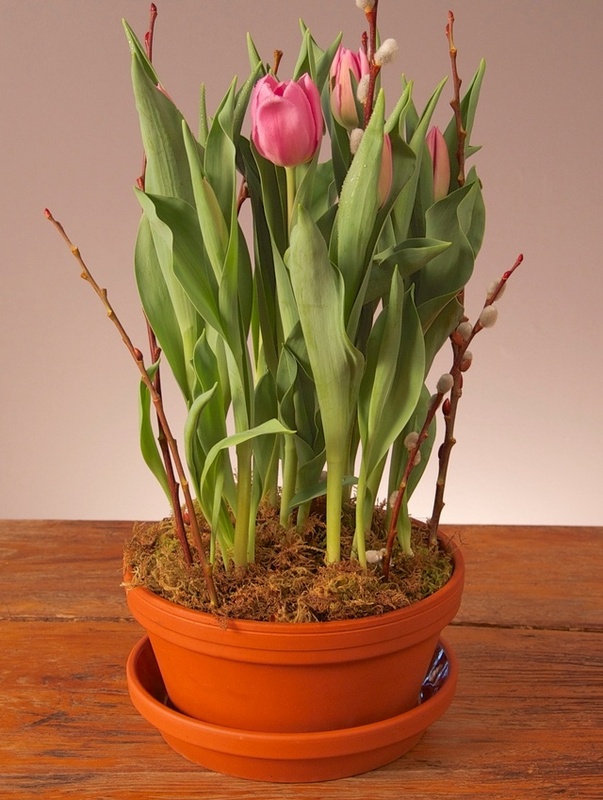 Many people really want that “droopy tulip” style. 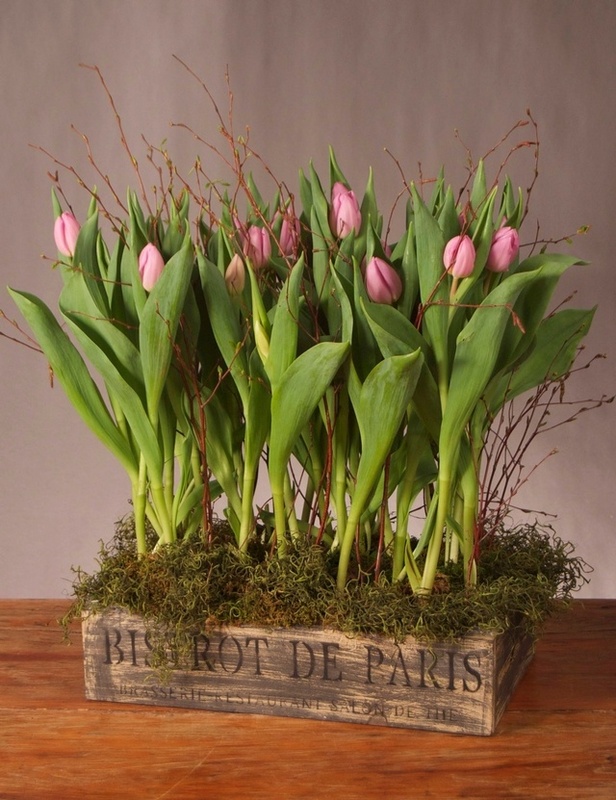 At Westmount Florist we sell tulip plants, tulips crates and our new addition, bistro crates, starting in winter …hard to believe but true. 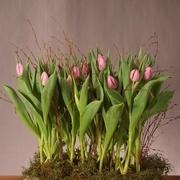 Our cut tulips start to come in around January. They go almost until the middle of May when they start appearing in gardens. 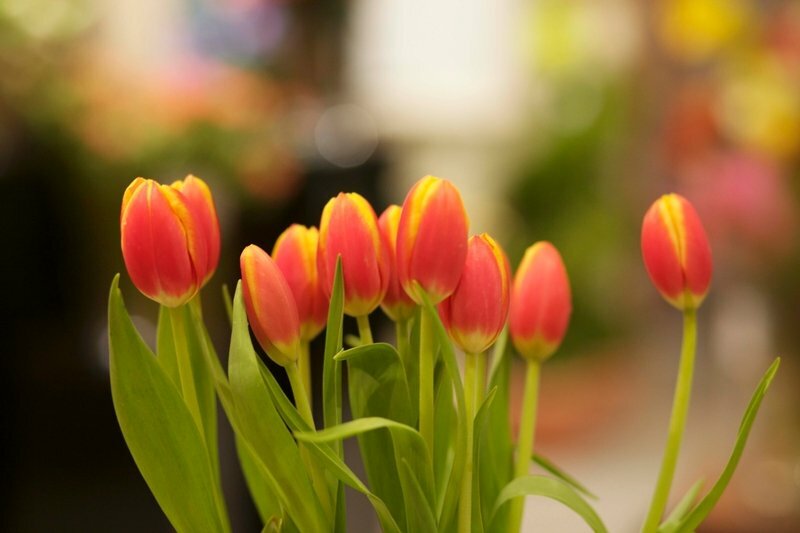 We are so proud to announce the majority of our cut tulips are Canadian grown…..either from PEI, Ontario or Quebec. 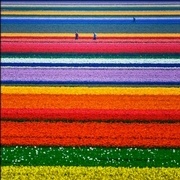 How cool is that ??? 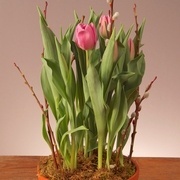 Whether it’s a parrot or regular tulip stop by and see how gorgeous they are for yourself or send some via our website www.westmountflorist.com.